How are our collections connected to Australia, China, Germany and the USA? Find out as we celebrate our global connections on International Museum Day. This International Museum Day we’re celebrating our global heritage. 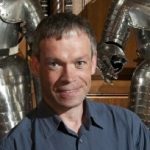 Our Collections Team care for over 80,000 objects from all over Scotland, but their histories have a much wider reach. 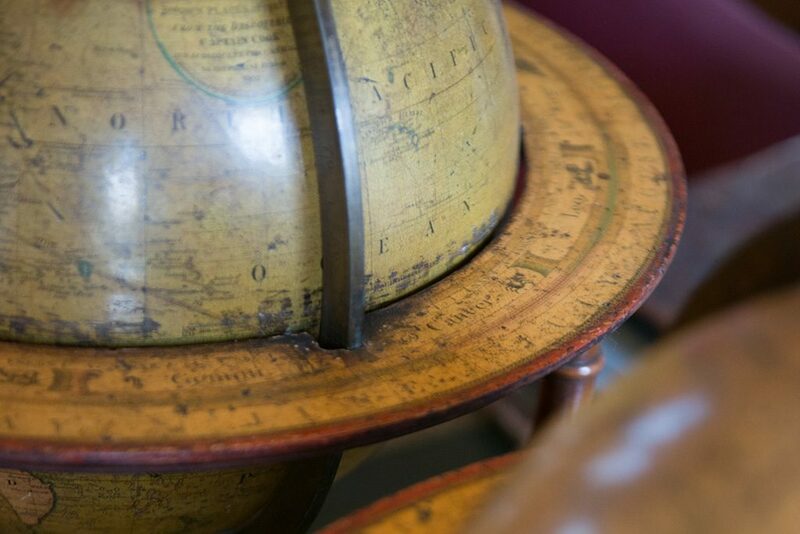 Here are just some of our favourite objects with international connections. 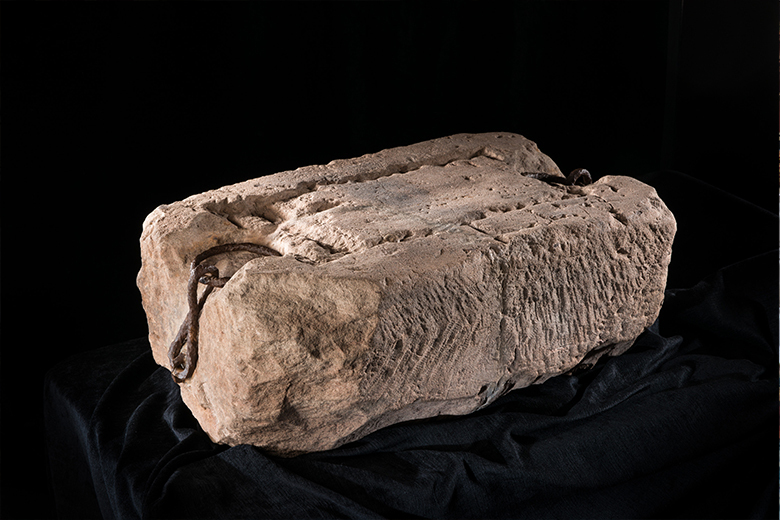 The Stone of Destiny is one of the most iconic artefacts in Scottish history, used during the coronation of kings for hundreds of years. In 1296 Edward I of England took the stone from Scone, Perth, and had it built into his own throne. It remained there until 1950, when a group of students removed it from Westminster Abbey in London. Three months later it was found at Arbroath Abbey. The stone was returned to London until 1996, when it was announced that the stone would be returned to Scotland permanently. It is now on display at Edinburgh Castle. The Stone of Destiny is also known as The Stone of Scone. It is a block of red sandstone with a roughly carved cross on the top. The iron rings at each end would have helped when moving the stone. Jane (1860 – 1937) and Louisa (1858 – 1949) Macdonald were prominent figures in the town of Arbroath. The sisters helped to establish a local history museum at the Abbey. 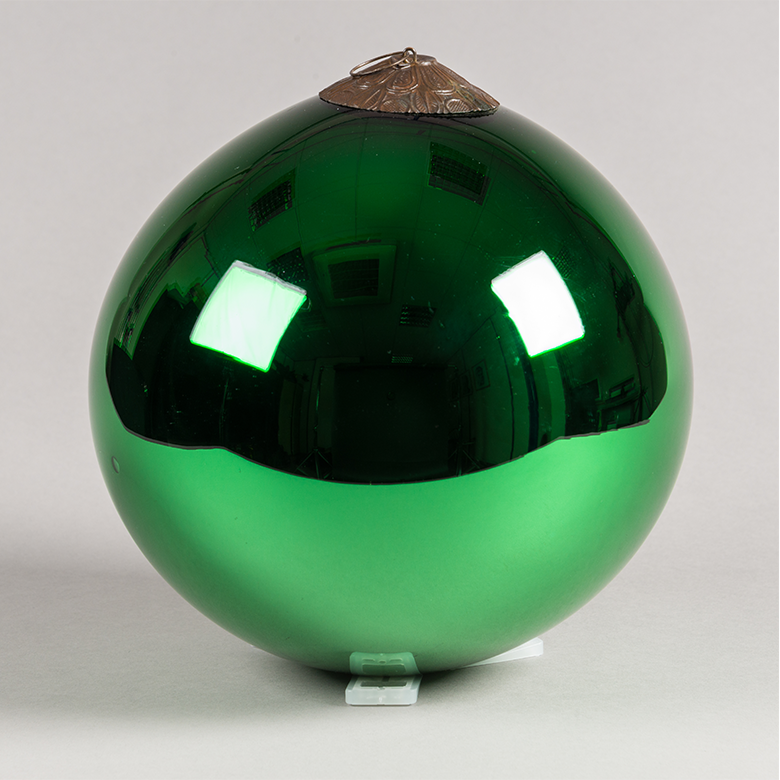 Amongst the items they collected are a stunning ‘witches ball’, three Highland Targes decorated with tartan and deer hide, and a variety of items donated by local people reflecting traditional Scottish life. In 1892 Louisa Macdonald became the first Principal of the new Women’s College at the University of Sydney. A research project at the university’s Nicholson Museum is currently investigating the role that women, including Louisa, had on the development of their collections. 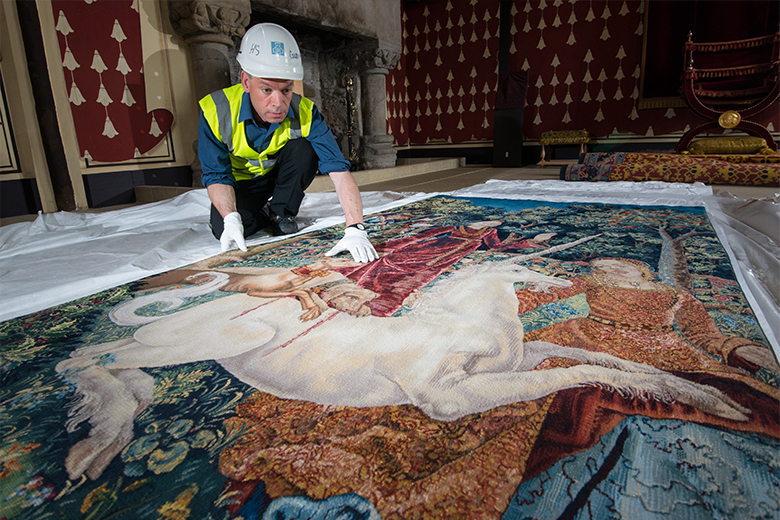 The Queen’s Inner Hall at Stirling Castle is home to a stunning set of tapestries, known as the ‘Hunt of the Unicorn’. Woven over a period of 14 years, these hangings are a reinterpretation of a medieval set of tapestries. The original tapestries were woven in the Low Countries and were owned by the La Rochefoucauld family of France. John D. Rockefeller, Jr. bought them from the La Rochefoucaulds in 1922 for about one million US dollars. The originals can now be seen at the Metropolitan Museum of Art in New York. The reinterpretation project involved extensive research. Several of the weavers travelled to the Big Apple to study and examine the medieval tapestries. Collections Registrar, Hugh Morrison, oversees the installation of the final Stirling tapestry. In April 2009, on the toe of a remote promontory in southwest part of Isle of Skye, we funded a project to investigate an extraordinarily rare structure – a stone-lined Viking Age canal! This canal connects a sheltered inlet to a small loch, which would have been suitable for harbouring wooden boats from as early as the Norse period. Even more incredible was the earlier discovery of two boat timbers inside the canal. These boat timbers provide evidence of a strong Norse tradition in Skye. They indicate that the Norse brought their shipbuilding and seafaring skills into the Hebrides, which would have transformed medieval life in the islands. 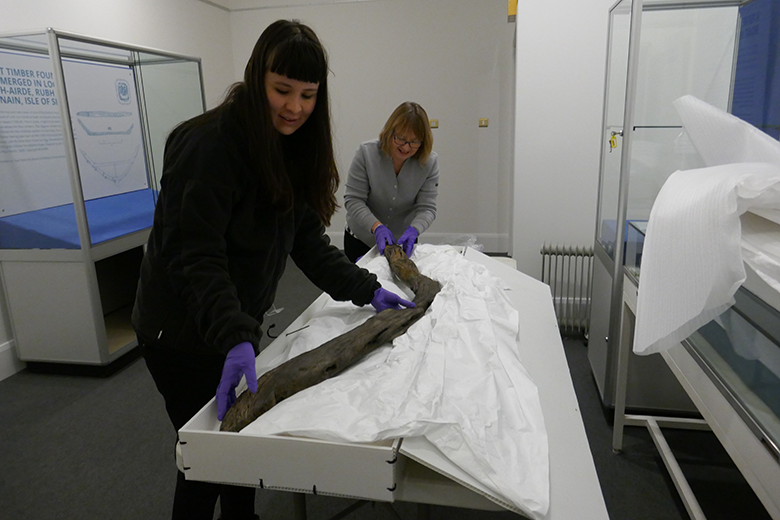 We loaned the timbers to the Museum of the Isles in spring 2017. Residents and visitors can marvel at these unique objects and learn more about Skye’s Norse connection. 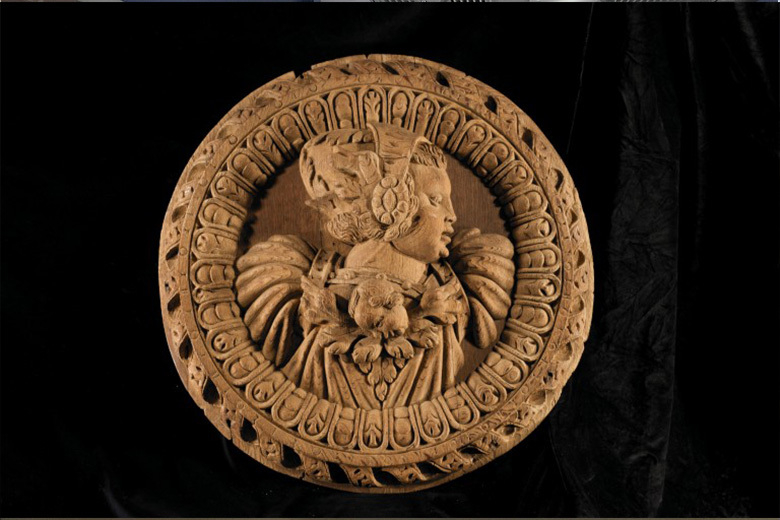 In 2008 the Réuninon des musées nationaux (Rmn-GP) borrowed four magnificently carved ceiling roundels made for Stirling Palace in the 1540s. The roundels were part of an exhibition celebrating the links between the Stuart dynasty and the French Court. The intricate wood carvings would have been familiar to Mary Queen of Scots when she was a child. They adorned the the king’s presence chamber and Mary would likely have seen them before she left to join the French court. Displayed in Chateaux Ecoen, it was clear to see how the Stirling Heads closely reflected the style of other Renaissance objects on display in the exhibition. Working with Ailsa and Damiana from our conservation team and our partners in France was very rewarding. After the exhibition was installed, I was kindly handed free tickets to all the Paris museums. I felt like a spoilt child in a sweet shop! One of the replica Stirling Heads. This medallion depicts a female “Worthy”. In 2013, the Jedburgh Shrine went on loan to Ausstellungsgesellschaft, Paderborn, Germany. The ornately carved stone probably formed the gable end of an enclosed shrine or sarcophagus, dating from the early 800s. Its central panel is finely carved with a vine-scroll inhabited by birds, mice and other animals. This design is frequently found in Anglo Saxon Christian art. It featured in a major exhibition of some of the finest Christian art and artefacts from across Europe. This was a spectacular exhibition bringing together a superb range of objects. Meeting registrars and curators from over Europe was wonderful, fun and memorable! 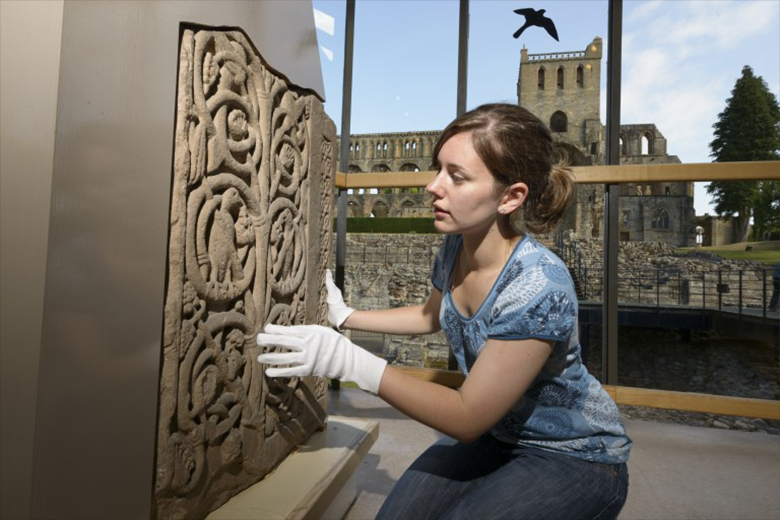 This early ninth century carving is usually on display at the museum in Jedburgh Abbey. In 2017, we brought Romantic Scotland to China, in partnership with National Galleries Scotland. The exhibition in Nanjing showcased key artworks, photographs and objects relating to Scotland’s landscape and culture. 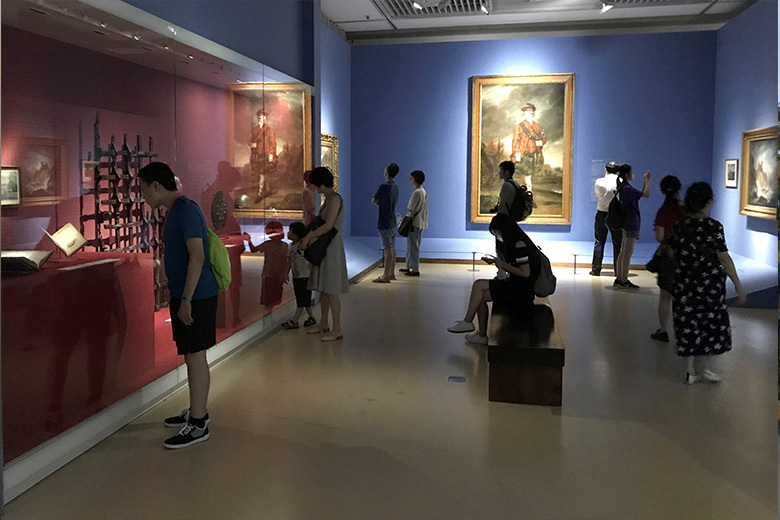 Romantic Scotland was on display at the same time as Nanjing Museum’s exhibition Poetic Jiangnan – an exhibition featuring artworks and objects from the Chinese museum’s permanent collections. It was a great opportunity for our three organisations to work together. As our first loan to China, it was wonderful to learn from working with our partners in Nanjing. Seeing the enthusiastic response the exhibition received from visitors was a great feeling. We were also able to gather valuable visitor research to help us understand Chinese responses to Scottish culture. Nearly 100 objects, paintings, photographs and other treasures were flown over 5,000 miles to be enjoyed by visitors in China.